Salado Lady Eagles split their district games last week with a win over Llano and a road loss against the Burnet Lady Bulldogs Jan. 19. Lorena Lady Leopards exploded for 22 points in the second quarter to take a 37-17 lead over Salado, going on to win 65-42 on Jan. 4 in Lorena. The girls won the Consolation Prize in the Thorndale Tournament over the Christmas break, going 3-1 overall. The girls lost to Academy 37-48 and beat Caldwell, 50-18, Crawford, 35-24 and Rogers 40-35. 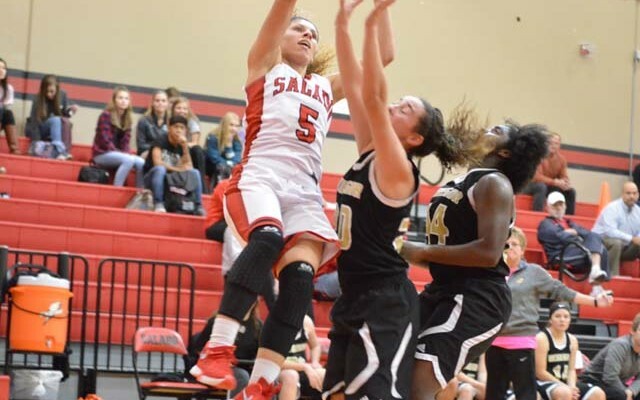 Salado Lady Eagles struggled through a two-point third quarter in a 30-46 loss on the road to the Gatesville Lady Hornets on Dec. 18. 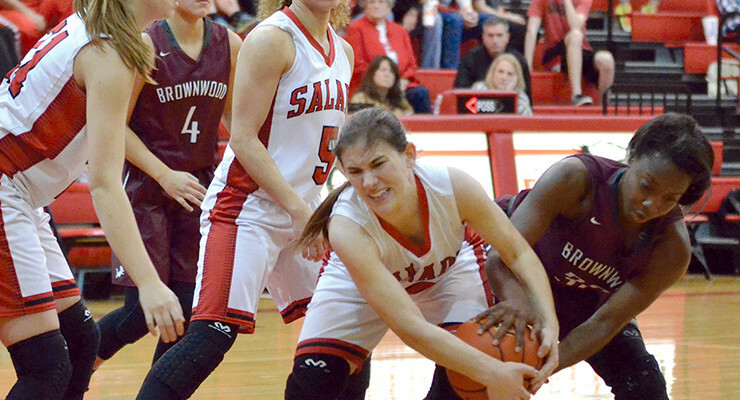 Salado Lady Eagles lost to Brownwood 37-57 on Dec. 15 in a non-district basketball game. China Spring exploded for 22 points in the first quarter and never looked back in their 75-48 win over the Salado Lady Eagles at home Dec. 11. Rogers Lady Eagles beat the Salado Lady Eagles at home 57-50 on Dec. 8. Rogers led 19-8 at the end of the first and 33-21 at the half. Salado Lady Eagles took second place in the Coach Smith Memorial Tournament Dec. 3-5, losing to the #6-ranked Liberty Hill Lady Panthers in the championship game. Sarah Kelarek, Payton Dreitz, Brianna Washington and Kerrigan Hearne were named to the All Tournament Team. 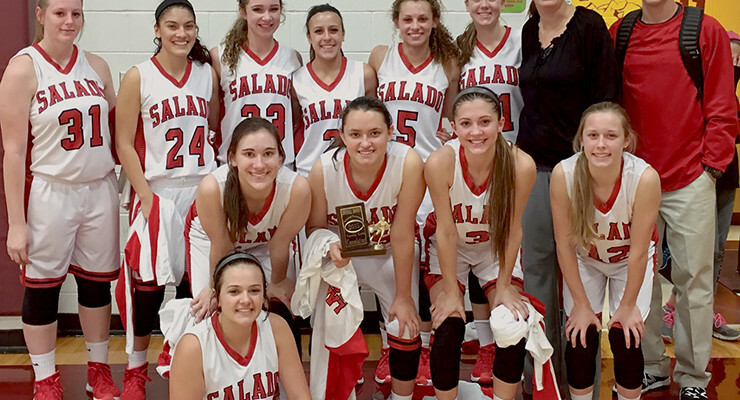 Salado Lady Eagles struggled against their red dirt opponents at the Polk City Tournament in Abilene Nov. 19-21 but came home with the Sportsmanship Trophy before the Thanksgiving break. 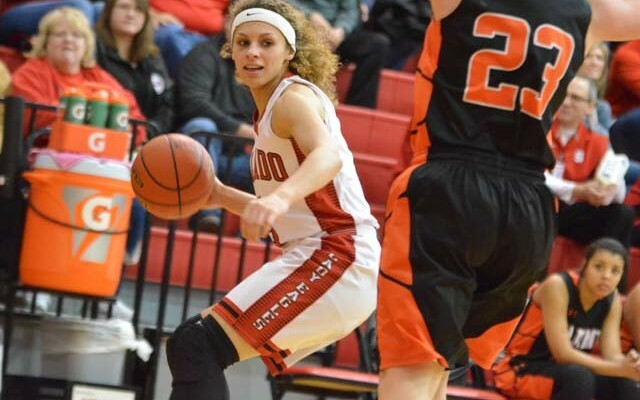 The girls will host teams from around the state during the Coach Smith Tournament Dec. 1-3. Salado Lady Eagles played McGregor on the road Nov.17.